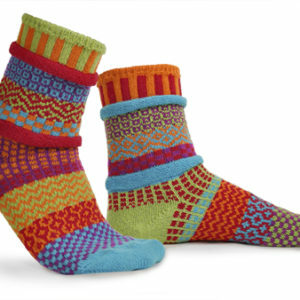 Made in the USA from recycled cotton (yarn is spun from leftover fabric when t-shirts are made – so smart!). 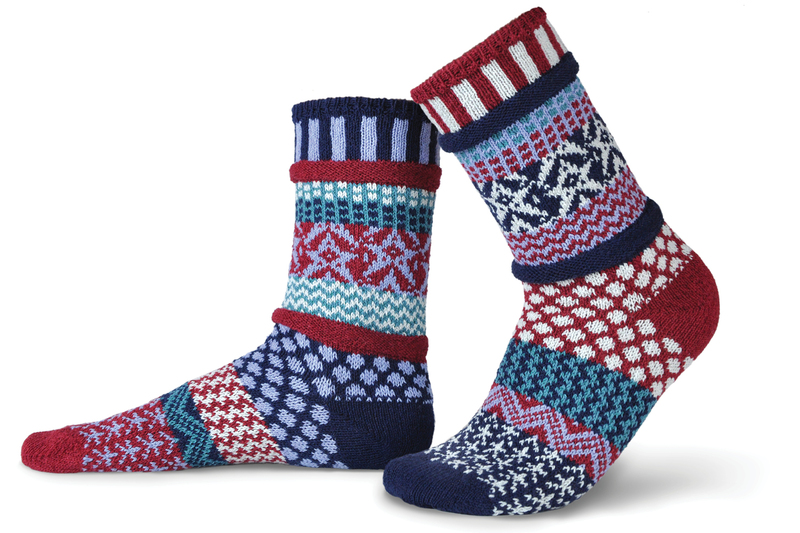 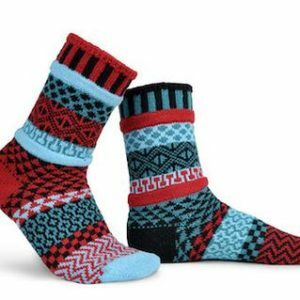 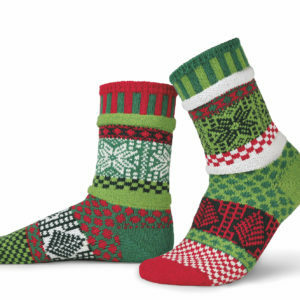 These socks are wonderful year-round comfort that wear beautifully wash after wash. Unisex sizing. 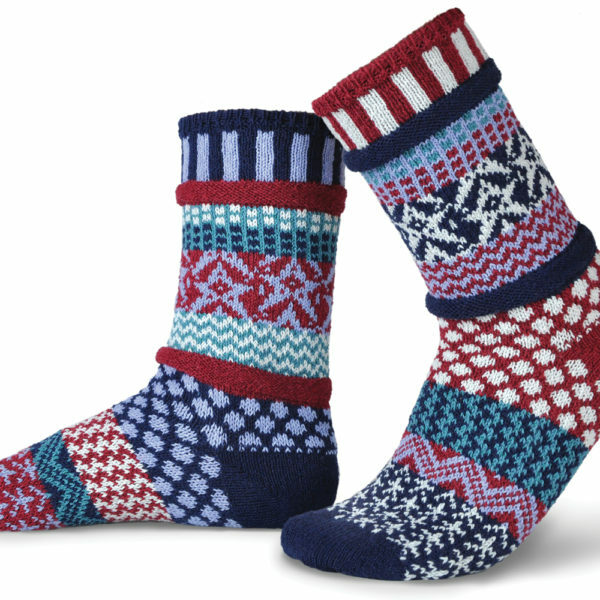 Navy & red multi.